A beginner-friendly guide offering a fast-paced but engaging approach to game development. This video course is all about offering you a fun introduction to the world of game programming, using a fun, fully-playable game. The game is an addictive frantic split-screen multiplayer puzzle-platformer.We will go through the key C++ topics, such as OOP (Object-Orientated Programming).While building the game, you will also learn exciting game programming concepts such as directional sound (spatialization). 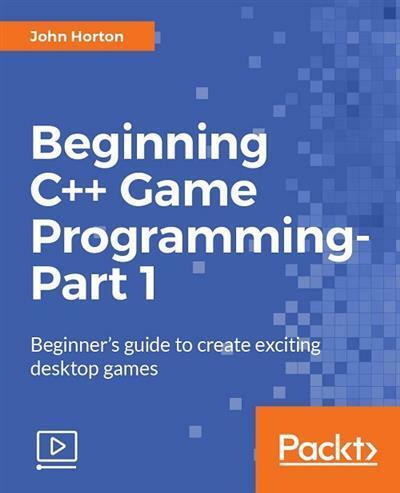 Stretch your C++ knowledge beyond the beginner level and use concepts such as pointers, references, and the Standard Template Library to add features-for example, split-screen coop, immersive directional sound, and custom levels loaded from level-design files.